Wouldn’t it be great if you could find a no-cost, natural, sustainable way to control furry critters that eat your garden harvest before you even get a chance to pick some for yourself? “We have zero problems with bunnies, moles, voles, mice, and chipmunks in our strawberry and blueberry gardens,” explained Beth, a Howard County Master Gardener. “I’ve got what one of our neighbor’s calls a fox ‘nursery den’ in our backyard and she has the ‘adult den’ in her yard, so small critters just aren’t problem. 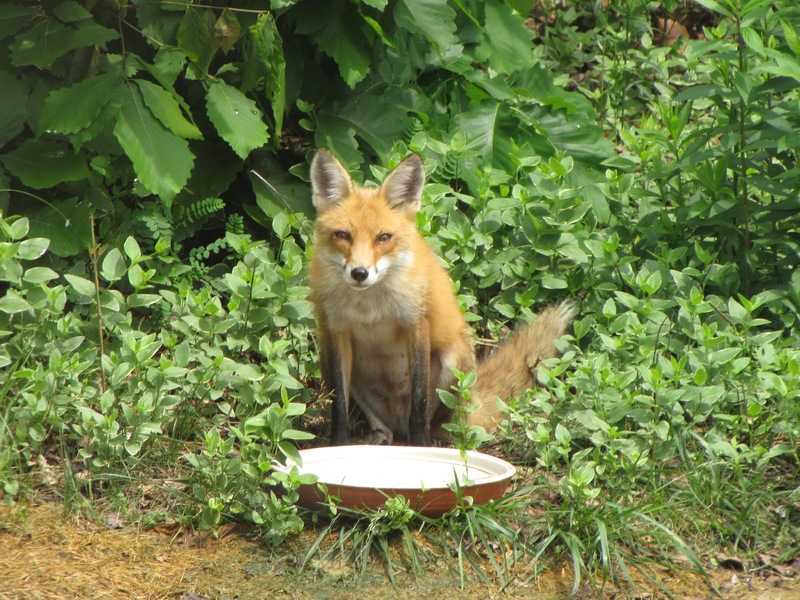 Are foxes the perfect critter control for suburban gardeners? “Not quite,” Beth answered. “We have a pair of groundhogs that are larger than the foxes—and the groundhogs are stopping by daily to see what’s growing. And then there are the deer that browse through our property nearly every day. Last year I planted one tomato plant, and the deer ate all the green tomatoes. I tore out the plant in frustration. But the groundhogs and deer—mountain lions, anyone? Thank you, Beth, for sharing your story and photographs. What fabulous pictures! 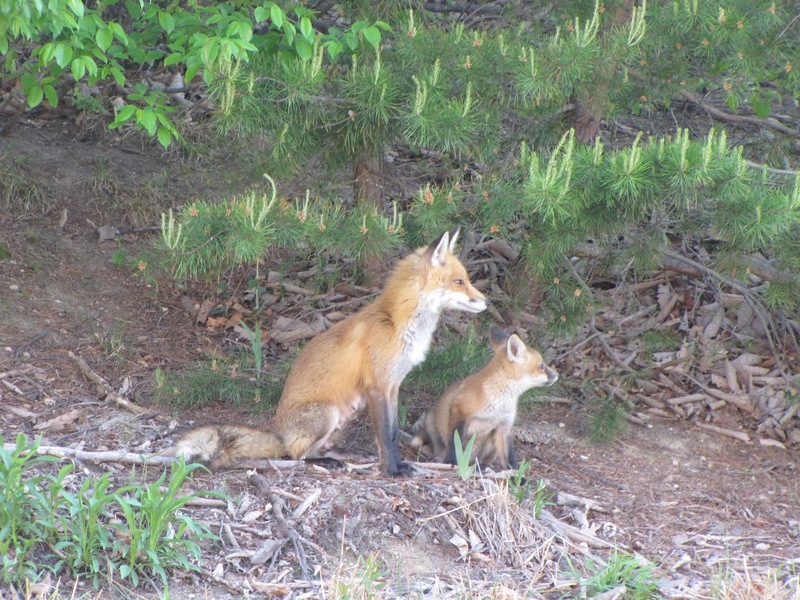 I live on the Eastern Shore and see foxes fairly often, but rarely so close. When they see us and run away, it's a good sign. However, a number this past winter have clearly been sick. They stagger, won;t run off when challenged and in several cases, even tried to attack the men who farm the surrounding fields (who carry shotguns for just such an eventuality). Instead of letting my dogs loose as I've one in the past, I've needed to keep them leashed even while on the farm. Even so, I appreciate seeing them. We also have world class groundhogs. Our only solution has been a dog with a keen hunting instinct and a fence around the garden. The deer! Gawd! Give any wild animal that staggers and challenges you a wide berth, Nancy, as it may be rabid. Call your local animal control department and let them evaluate the situation. 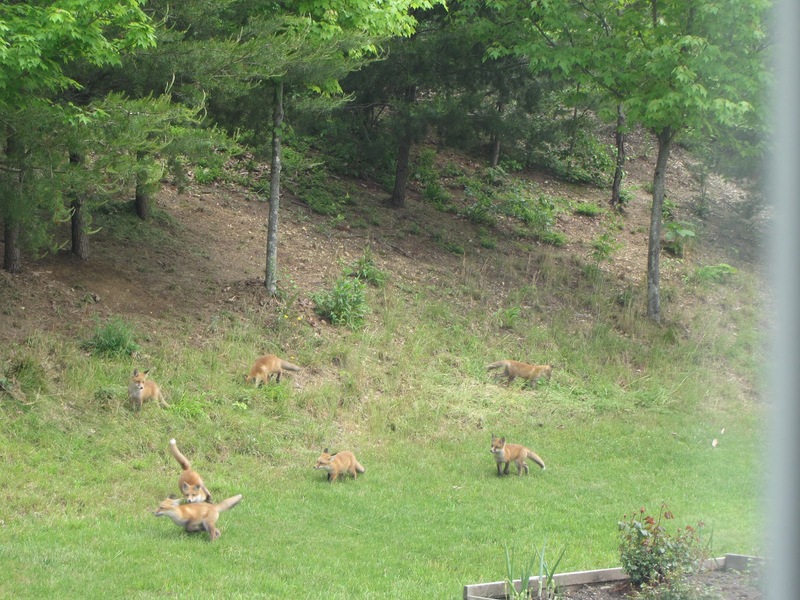 Yes … groundhogs and deer … how luck that we get to eat anything from our gardens!